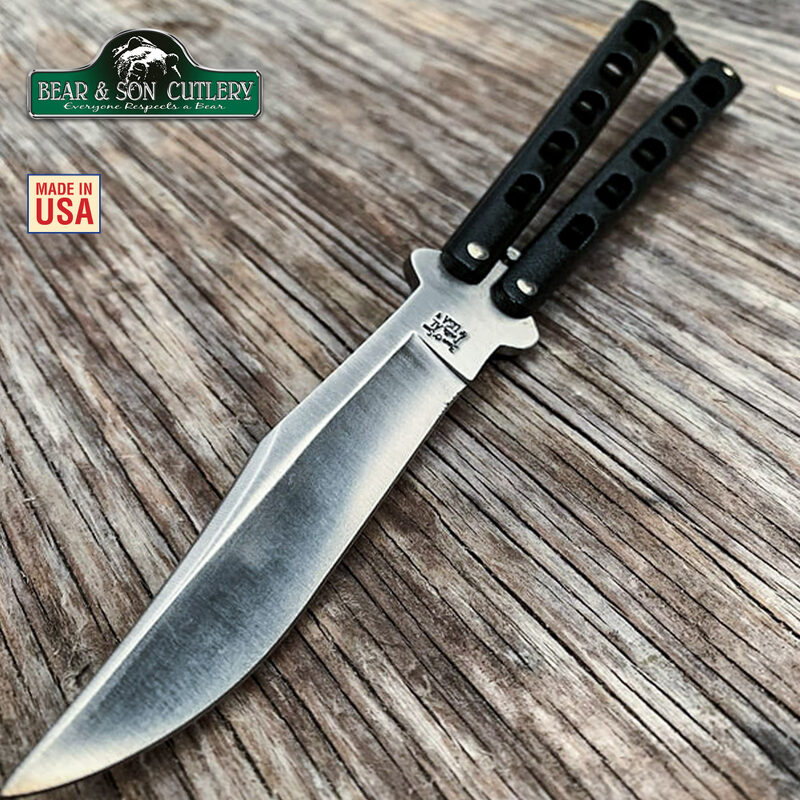 This Butterfly Knife by Bear and Sons Cutlery is light and durable and a perfect fit for anyone! 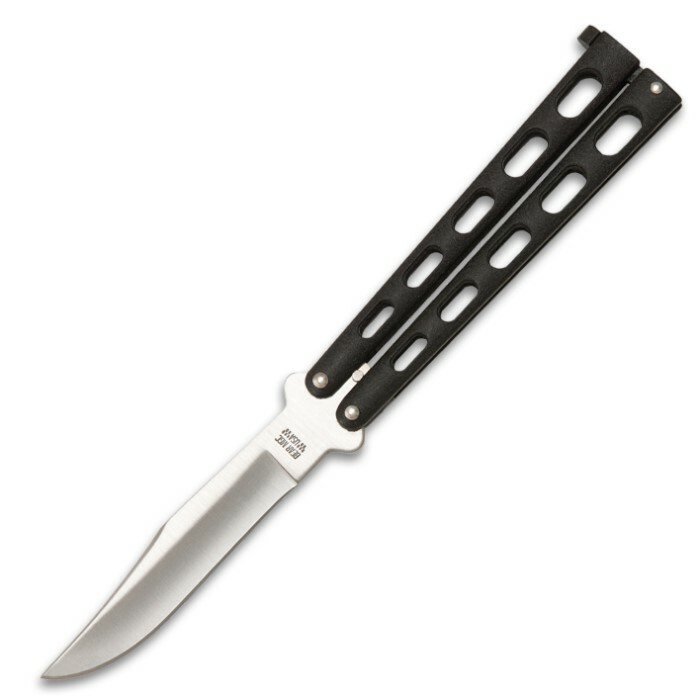 It features a 4" high carbon stainless steel hollow ground blade. 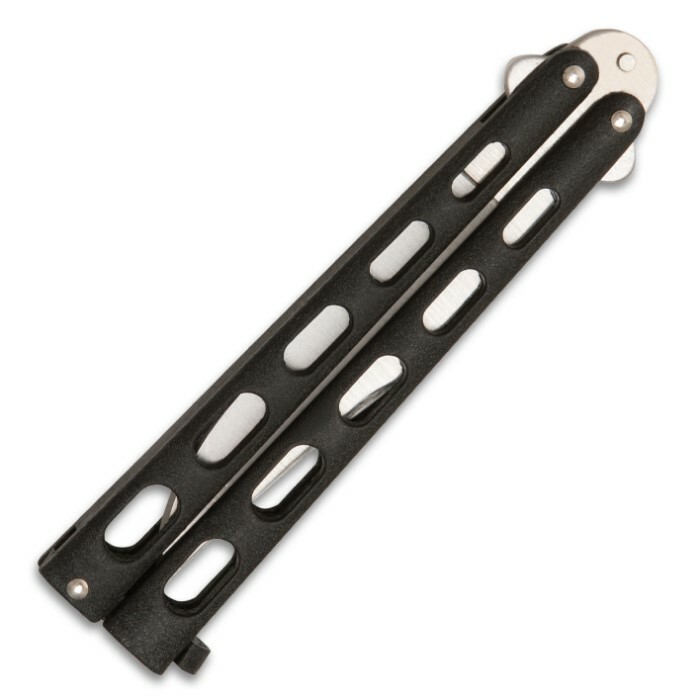 The handles are of cast steel with a black epoxy powder coat finish. It is 9" overall and made in the USA.